It happens to the best of us. One drink turns into two turns into... well, more than two. And though you swore you weren't going to skip dinner and that you definitely were going to drink all of the water before bed, you probably didn't, and now you kind of want to die just a little. 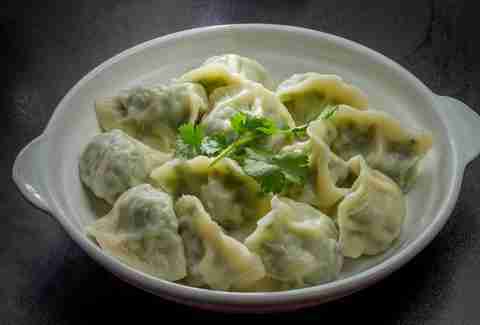 Instead of dying, though, just remember that a hangover is your free pass to eat all of the delicious, greasy, savory, sweet, indulgent food that you want. 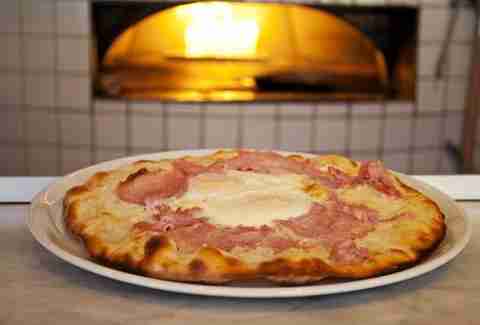 Like these 31 things, all of which you can find in SF. 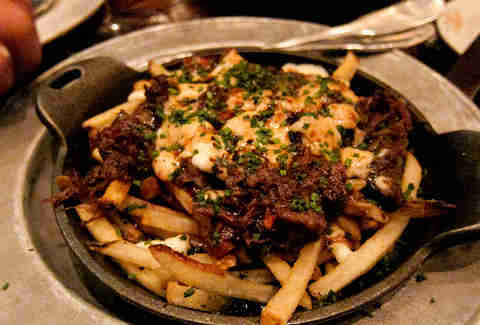 And many of which likely can be ordered with a Bloody Mary. Over-easy egg. Cheese. 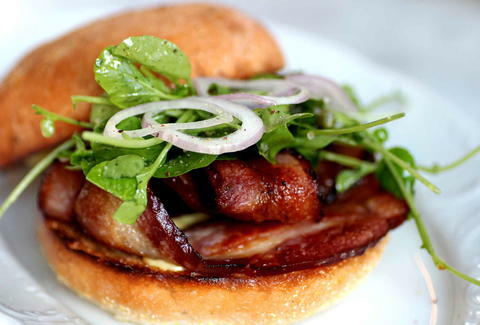 Brioche bun. Bacon jam. Bacon. 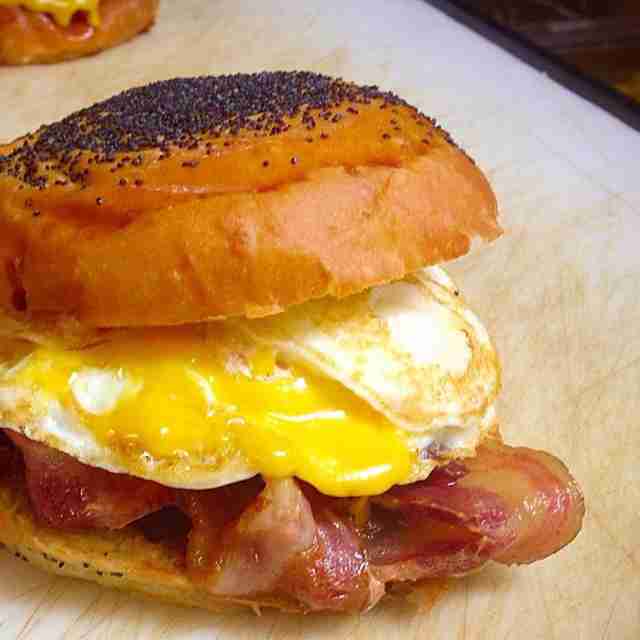 Pro tip: the more adult beverages you enjoy at night, the better the breakfast sandwich tastes in the morning. 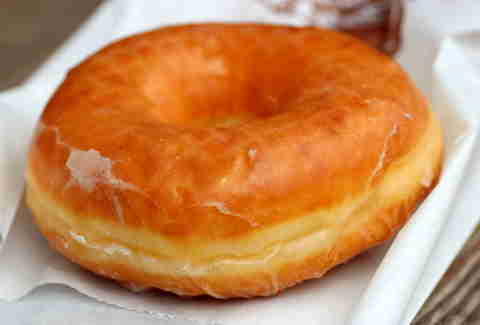 Sometimes life calls for a perfectly classic glazed donut. And by "sometimes", we mean "right now". 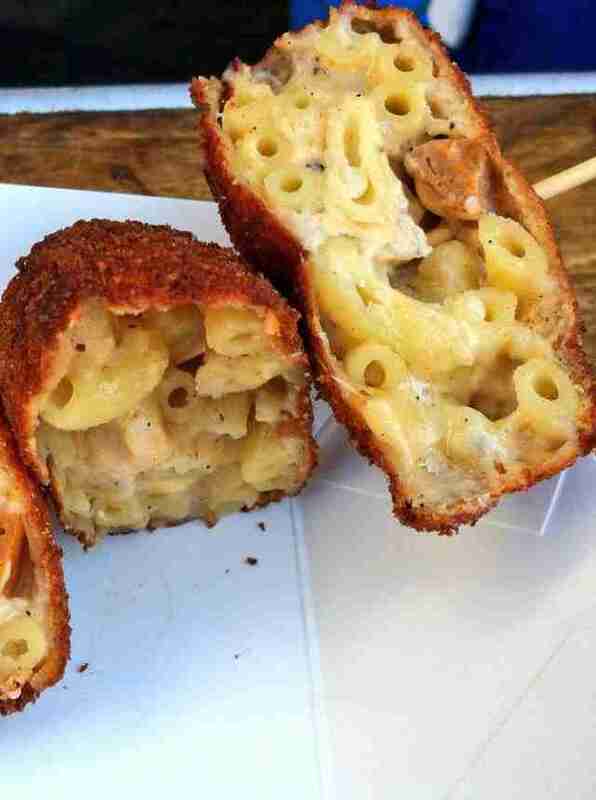 No seriously, someone please bring us a dozen of these. 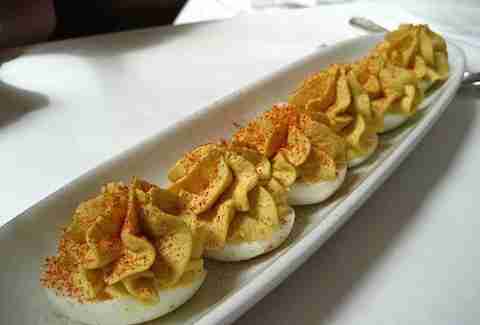 These deviled eggs are legendary for a reason. What? 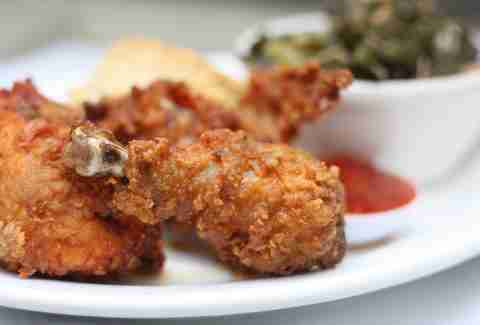 There's no such thing as too much fried chicken. It's not a hangover without eggs Benedict. 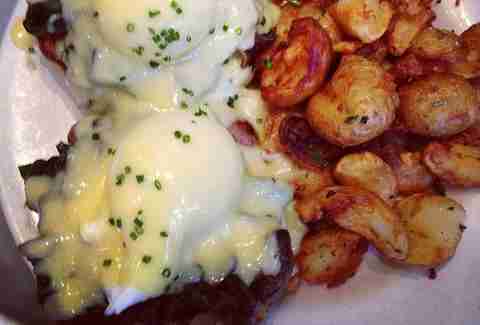 Plow's lemony hollandaise makes 'em especially good. 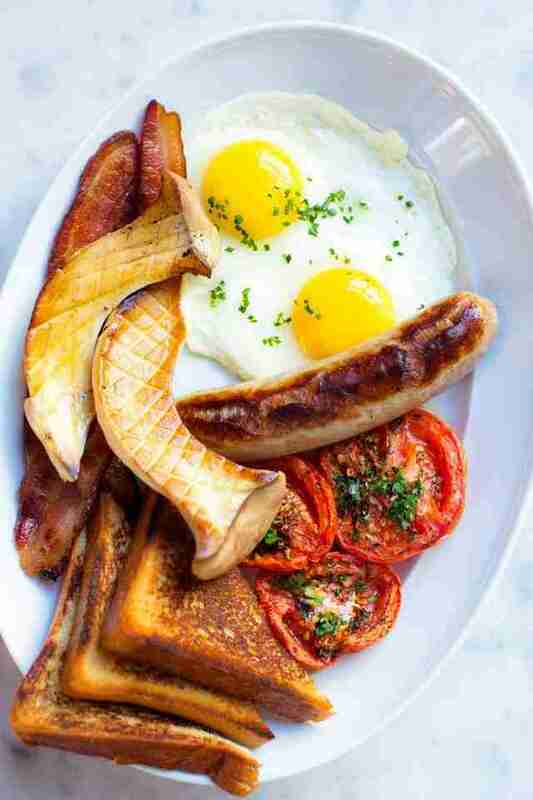 Eggs, bacon, bangers, roasted tomato, pullman... it's a breakfast fit for an Englishman, but tastes just as good going down if you're American. All you have to do to make a pizza into breakfast food is put an egg on it. Rose's just happens to do it better than everyone else. 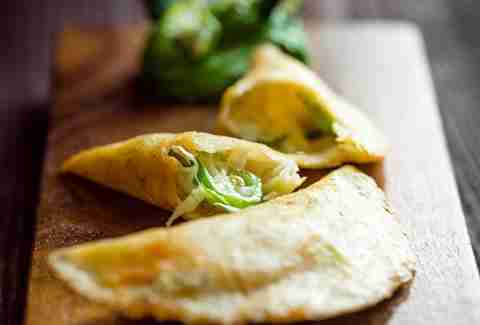 Quesadillas with manchego, smoked habanero salsa, and creme? Si. 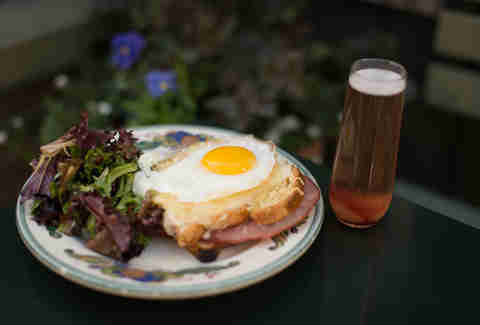 Why get the Croque Monsieur when you can get the Croque Madame, which is the same ooey-gooey ham and Gruyere sandwich, only with a sunny-side egg on top? 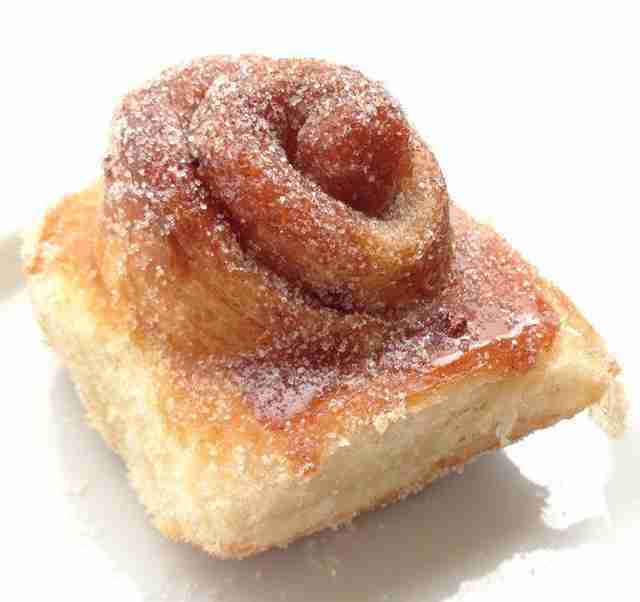 Apple fritter. No sharing allowed. 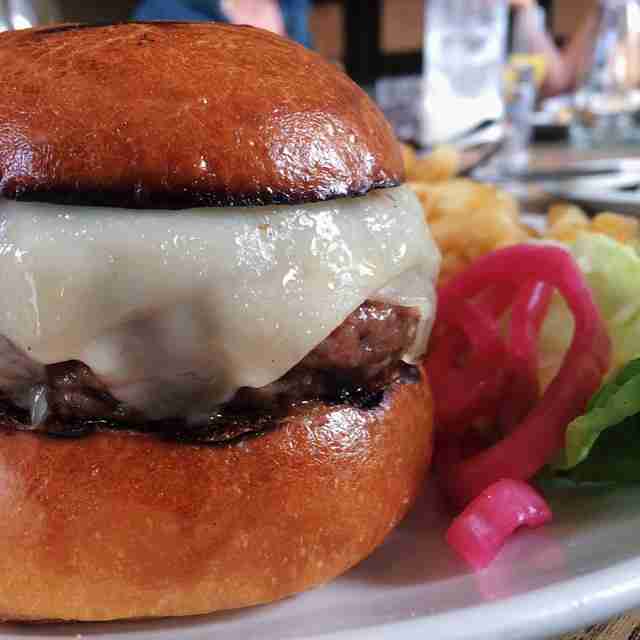 Ain't nothin' wrong with eating a burger for breakfast and don't let anyone tell you otherwise. 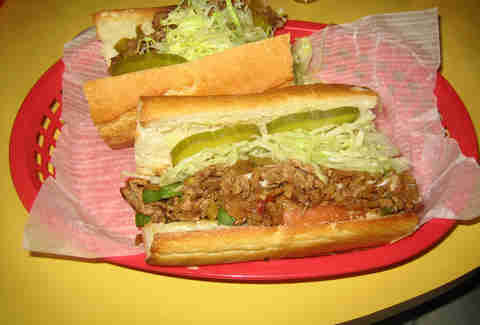 Just 'cause we're not in Philly doesn't mean we shouldn't eat cheesesteaks. 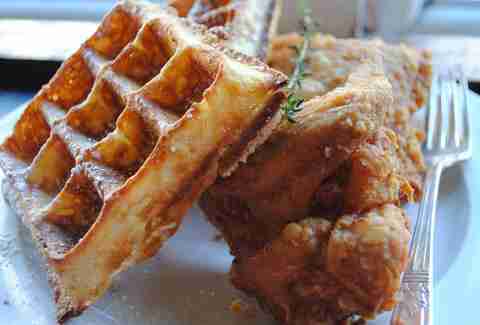 Can't go wrong with Jay's Original. 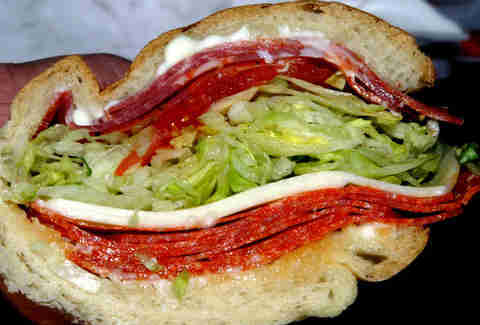 It's the best sub sandwich in the city. Eat it. 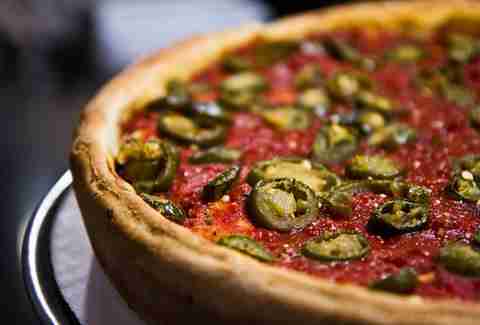 Deep dish pizza with jalapeños. The waiting is the hardest part. 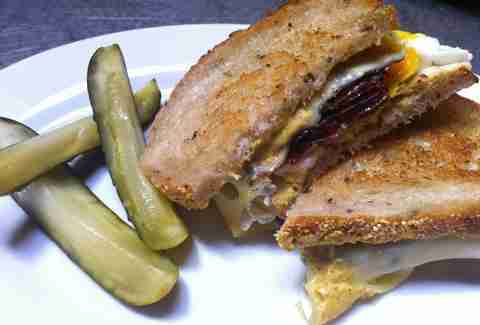 The Semite Sandwich is where it's at: crispy pastrami, Swiss, deli mustard, and a fried egg on griddled rye. 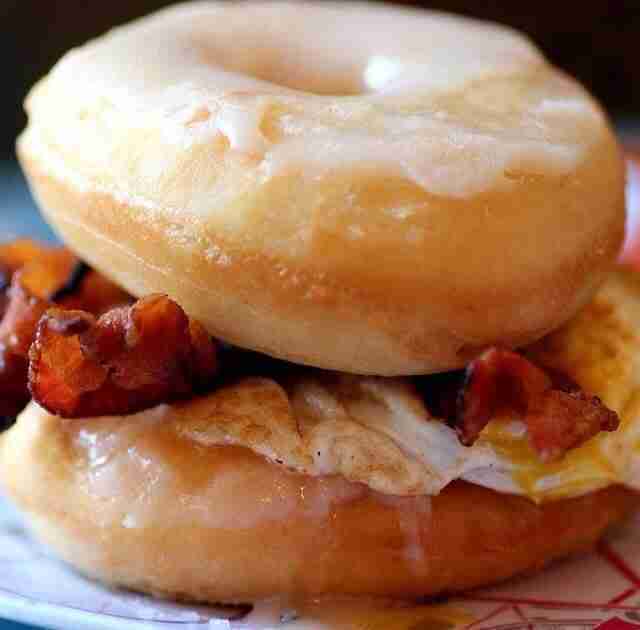 Yup, it's a breakfast sandwich with a fried egg, maple-glazed bacon, cheddar, and jack, but on two donuts. 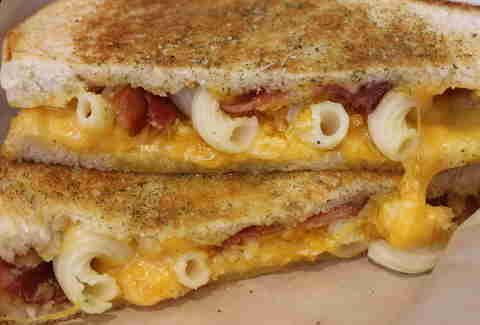 It's a grilled cheese... with mac & cheese AND bacon. 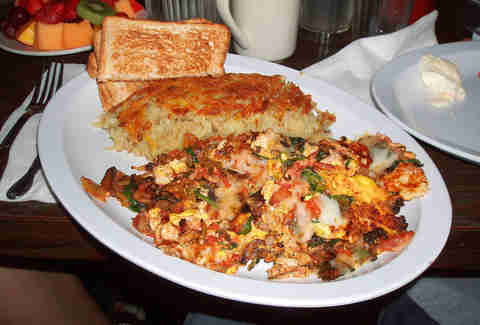 Best hash browns in SF, hands down. 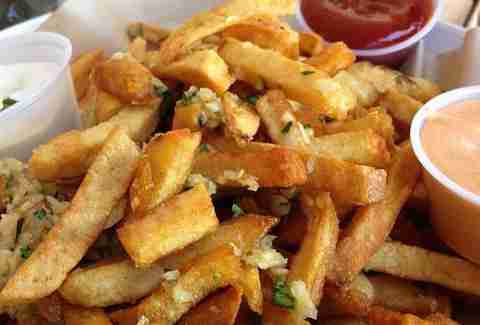 Super-crispy Belgian fries with 11 different dipping sauces, including one that's top secret. Of all of the world's greatest inventions, Tot-chos is probably the best. 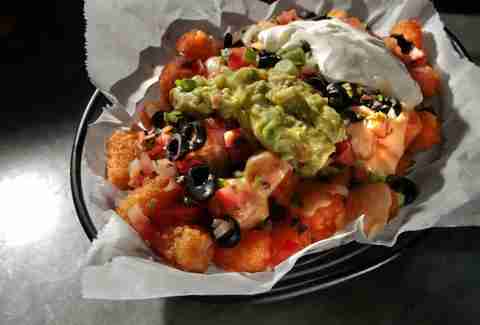 It's a tater tot/nacho situation with melted cheese, jalapeños, black olives, pico de gallo, sour cream, and guac. 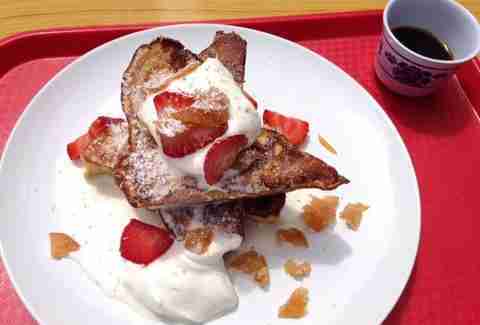 Texas French toast with coconut custard, coconut whipped cream, and fresh strawberries. And an adorable tea cup of maple syrup for you to dip it in (or dump on top of it). 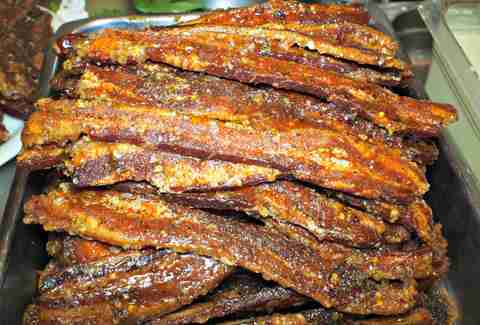 This Millionaire's Bacon is extra thick and seasoned with red pepper flakes, black pepper, cayenne pepper, and dark brown sugar. 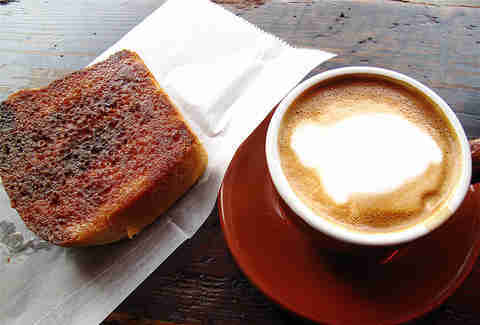 This is the best cinnamon toast you will ever eat. Ever. 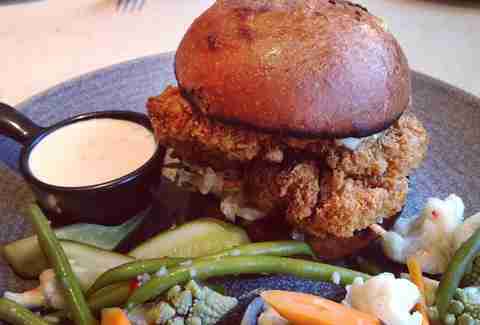 Go ahead, dip that Southern fried chicken sandwich in ranch. They'll bring you more when you run out. 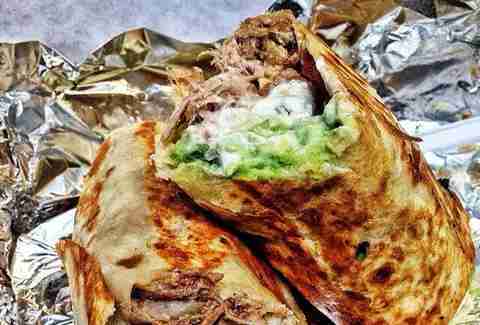 Voted the BEST burrito in America. 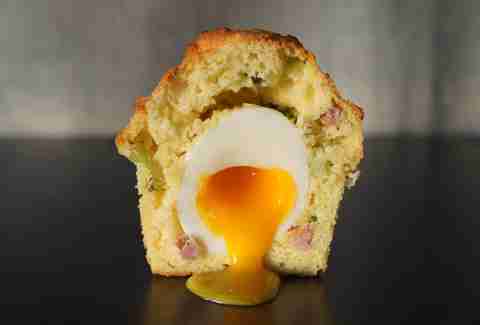 The Rebel Within is a soft boiled egg inside a muffin that has sausage baked into it. Yuuuuuuuuup. 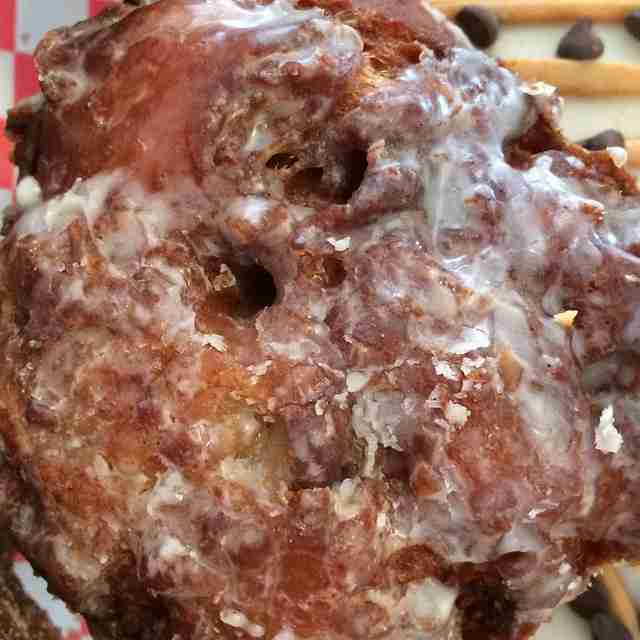 Daisy Barringer is Thrillist's SF Editor and she wasn't joking about those donuts. Bring those... and anything else on this list to her right now, please. Tweet at her @daisy for her address.